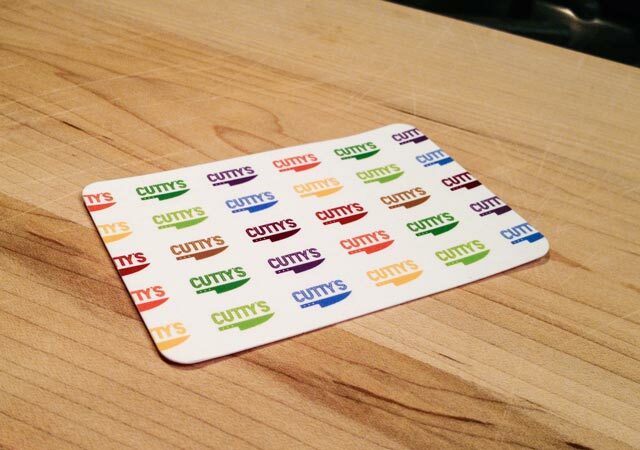 I designed the logo that became an icon for the best sandwiches in Boston. 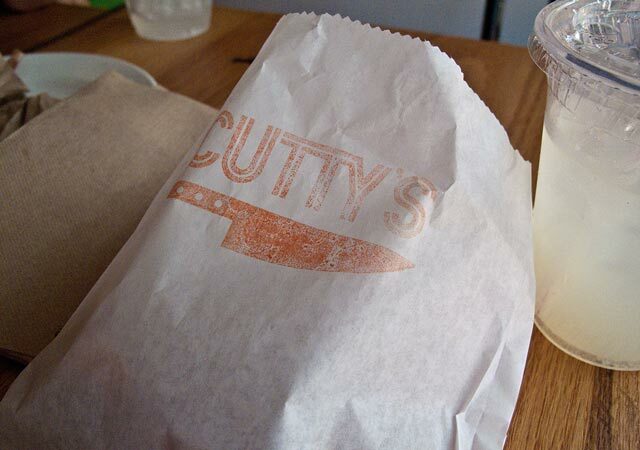 Literally: Cutty’s has been awarded Best Sandwich in Boston 3 years running. Former Cook’s Illustrated editors Charles and Rachel Kelsey have earned national attention, and built an intense local following. 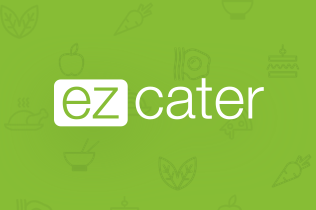 Just like the craft and care that they put into their food, the logo is simple, honest, and hardworking. 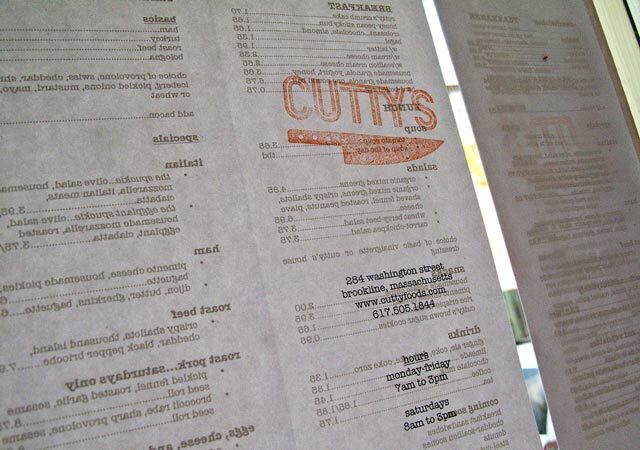 Delicious custom type and the friendliest knife around. Custom type inspired by 1970s era lettering seen on a popcorn machine. Alternate stencil cut of the logo. Instead of a literal rendering of the blade shape and contoured handle, I simplified the shapes to represent a more universal concept of a chef's knife. A flexible range of colors inspired by fresh ingredients like carrots and perfectly steamed broccoli. 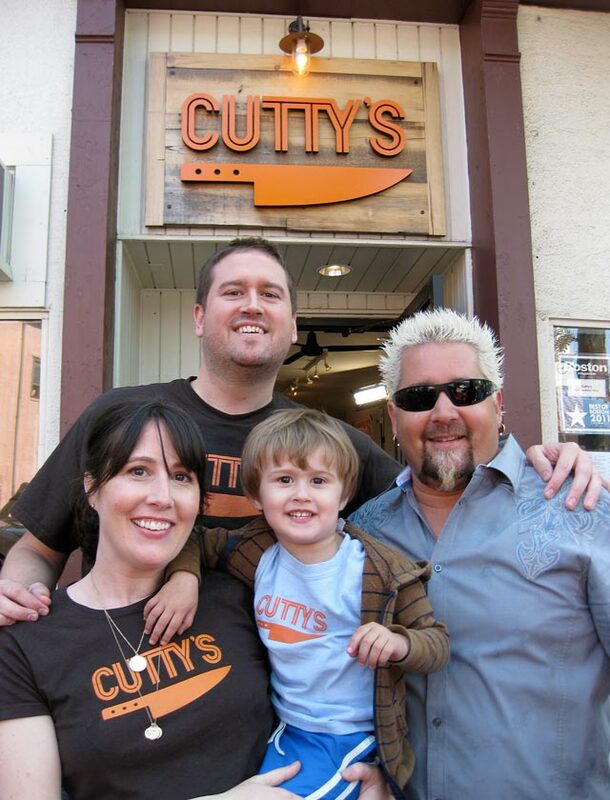 The Cutty's crew with Food Network's Guy Fieri. Bonus t-shirt! 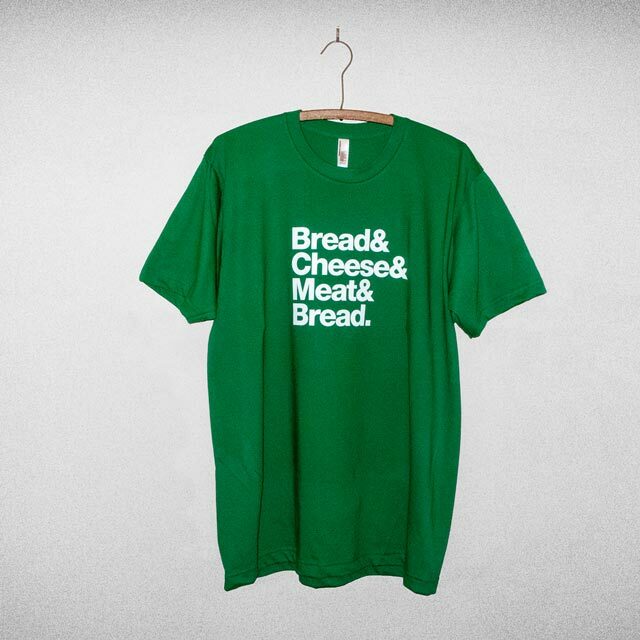 A twist on Experimental Jetset's T-Shirtism.